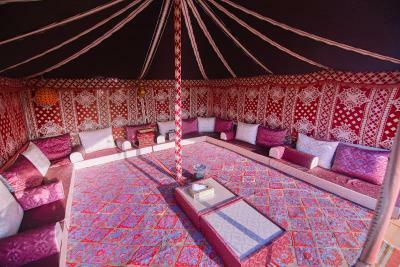 Lock in a great price for Oman Desert Private Camps – Starwatching Private Camp – rated 9.5 by recent guests! Everything was perfect for sand dunes experience there. Service and management was superb. 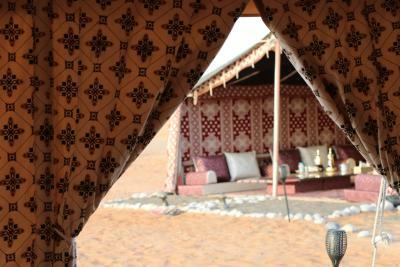 Practically the best desert camp i’ve ever stayed at by far. It’s super clean. 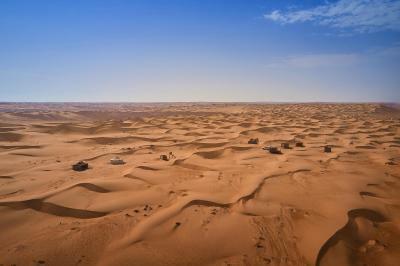 The location is very nice, it’s literally in the middle of the desert and further away from the tourists area. Star-watching by night and sunrise watching the next day. Jacqueline is super friendly and accommodating even helped us with our car that got stuck on the sand in front of the office. 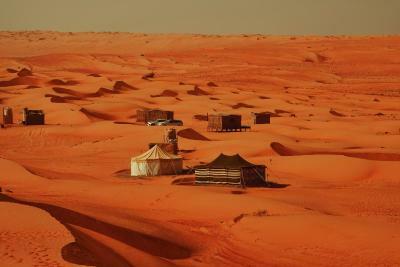 Unique experience, alone in the desert, no wifi, no electricity, just sand all around and a tent. Very friendly staff, good food, perfect accommodations considering the location. Paradise in the desert. Incredible hospitality and accommodations. And an unforgettable landscape. Unique and fun 4W drive to the campsite although a bit challenging for someone without driving experience in desert. We occupied the campsite by ourselves, good privacy. The sand dune is not high, but overall the place is nice. We had a wonderful stay. 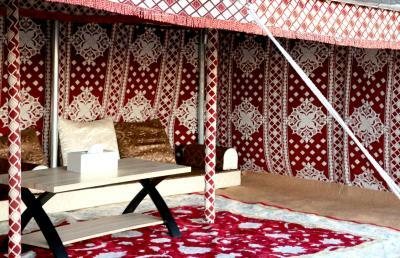 The camp is beautiful and luxurious with a lot of attention to detail. 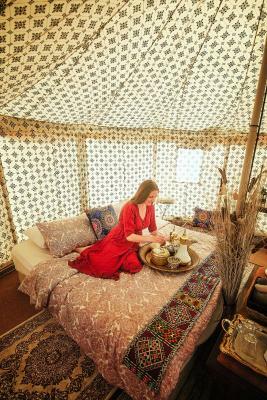 Although you are in the desert you do not need to miss out on any comfort. Food was delicious, staff very friendly and helpful and the setting and atmosphere absolutely outstanding. 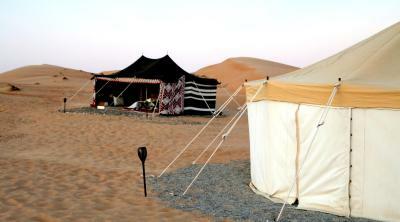 We highly recommend the sunset camel ride to the camp and to walk up the dunes for sunrise. An exceptional experience! 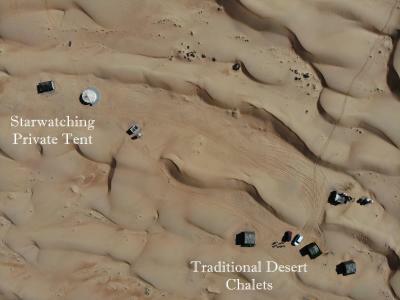 Starwatching Camp has a seating & dining area and is located 16 mi inside Wahiba Sands in the middle of Dunes. 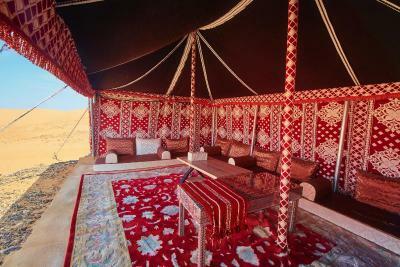 The property has 2 traditional desert chalets and one private star watching tent. You can book full setup with the 2 tents "just for you" - including breakfast and dinner with a private service staff or you can book only one tent out of the two and will share the camp with other guests. Free private parking is available on site and a 4x4 vehicle is necessary to reach the place. Please let us know if you request a transfer on additional charge. Camel ride can be arranged as well. This property is also rated for the best value in Ḩawīyah! Guests are getting more for their money when compared to other properties in this city. 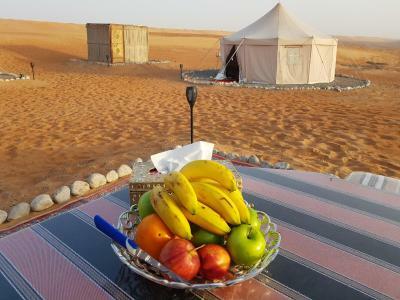 When would you like to stay at Oman Desert Private Camps – Starwatching Private Camp? Each tent offers a double or twin bed with comfortable mattress and lovely soft sleeping blanket and pillows, it is carpeted and there is a bathroom with a hot water shower and toilet. 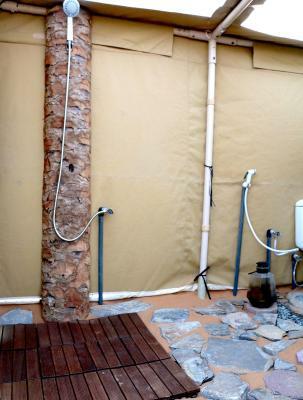 This tent offers a double bed or twin beds, a single bed for 3 people, with comfortable mattress topper and lovely soft sleeping blanket and pillows, it is carpeted and there is a separate outside bathroom with a solar heated shower and a toilet. 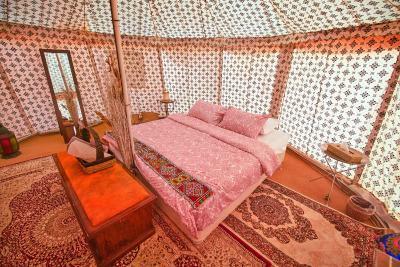 This tent offers a double bed or twin beds, blanket and pillows. It is carpeted and there is a private outside bathroom with a solar heated shower plus it has its own Majlis sitting lounge area. The 1 tent and 2 chalets share 1 dining area. - Welcome juice, Arabic coffee, dates. Dinner under the starlit sky - Campfire - Fresh breakfast in the morning - Soft drinks, water, and juices - Coffee and Tea - Half-board. 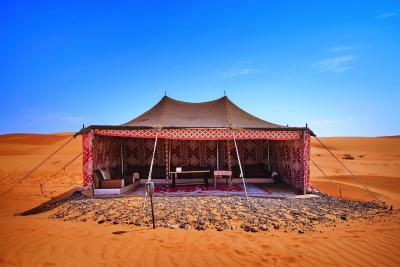 House Rules Oman Desert Private Camps – Starwatching Private Camp takes special requests – add in the next step! All children under 16 years are charged OMR 20 per night for extra beds. Any additional older children or adults are charged OMR 50 per night for extra beds. 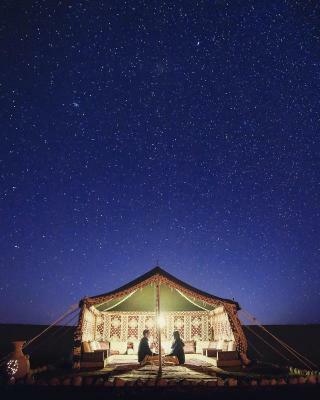 Oman Desert Private Camps – Starwatching Private Camp accepts these cards and reserves the right to temporarily hold an amount prior to arrival. Please note that a proper 4x4 vehicle is needed to arrive to the Camp. SUVs are not recommended. The Camp offers a transfers at a surcharge. The meeting point for check-in is: Bediyah Safari Tours Office is at the following GPS coordinates: 22.450721, 58.828377, after 14:00. 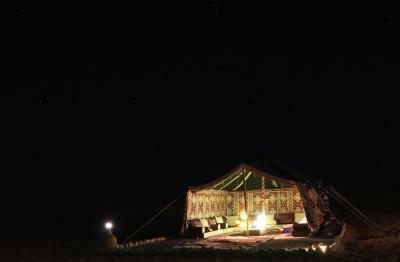 Please inform Oman Desert Private Camps – Starwatching Private Camp of your expected arrival time in advance. You can use the Special Requests box when booking, or contact the property directly using the contact details in your confirmation. Nothing actually. But we do hope google maps fix their maps because we got lost as it directed us to the mountains while we only have small car. For everyone who reads this review, please make sure to stay on the highway every single time even though google maps is directing you to a shortcut. 1. Overall organization and communication seems very chaotic. 2. User experience needs improvement: Starting the checkin process at 3.30pm is too late. The guests only arrive around 5/6pm at the camp and don't have much time to enjoy as it's getting dark&cold. Breakfast is at 7.30am the next day. And afterwards it's already time to leave. It felt like we just went there to eat&sleep. > To expensive! Everything is nice. But not great. So I'm not sure if it's worth it. > Dinner is good, but not great. Not a lot of choice > 1 bathroom for 2 rooms (and a cold shower) > Not a lot to do -> the website says there is music, you can ride quads and stuff, but you CAN NOT. > Nice breakfast, but western, we wished it could of been more local > The office is really vage. Call before you arrive and ask for directions, because it does not really look like an office. Nothing really - the entire experience was absolutely perfect! Everything!! 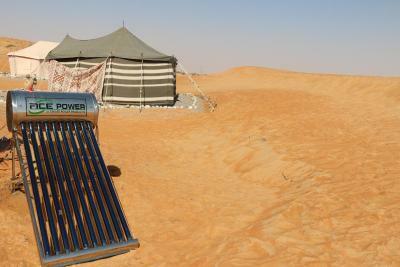 This has been an incredible, truly authentic experience in the Wahiba Desert that we would repeat in a heartbeat. 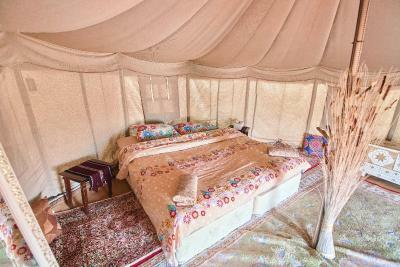 The camp was very well maintained and in a brilliant location. The tent was kept with care and very comfortable (and we even had a shower under the stars). The dinner was varied and very well done. Sleeping and waking up in such a place is really a must try. Great place for a night in the desert. Excellent food and service. Loved the location, the service and the look and feel of the camp.